EXHIBITOR REGISTRATION – Hudson Senior Expo! Connecting Boomers, Seniors, and Caregivers with Local Resources and Services to Live a Vibrant Life! 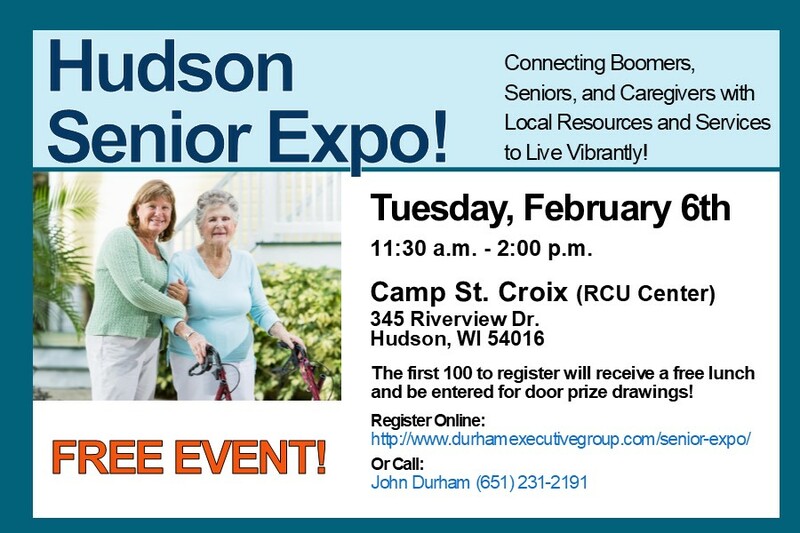 Hudson and area businesses and non-profits that are dedicated to serving the senior population in St. Croix County are invited to exhibit at the Hudson Senior Expo! DEADLINE EXTENDED! Register to exhibit by January 5th!